Dancing is one of our favorite things to do together. Kennedy loves to twirl around in circles with her hands floating in the air. Occasionally she’ll hop erratically on one foot or put her hands on the carpet and lift a leg in the air. These dance moves have all the sincerity and bumbling grace of a fawn prancing around on its way to sure footing. Kingsley always wants me to hold her when we dance so it’s a good thing she only weighs twenty-some pounds. She perches on my outstretched arm like an acrobat on a trapeze, dressed in a princess pajama shirt and a diaper rather than a leotard and tutu. She has a signature move where she sits on my bicep, extends bare legs in front of her, points her toes like a professional gymnast, and clasps my left thumb in her tiny right hand. “Spin! Go faster,” she says. She leans her head back slightly, her eyes half-open. We spin and spin until I’m queasy and afraid I’ll fall over. Delighted with her daring flight, Kingsley wears the superior smile of an indulged queen. “Again!” she commands from her lofty perch. The girls have all grown several inches in the past year, but their ever-developing personalities surprise and delight me most. Baby Kherington will soon turn one. At Christmas she contentedly watched our basement dances from the safety of her dad’s lap. Then I called her Bubbles because she always had saliva bubbles hanging off her lower lip. Two seasons later, Kherington is quite the explorer and she’s missing the endearing slobber. She’s only still when someone holds her. The stairs and the toy bins are her favorite destination. Her sisters are not happy that Kherington chews on their Barbies and steals their stuffed animals, but it’s hard to discipline this adorable little girl. Summer has tanned her skin to a rich brown despite the gallons of sun block used by her parents. Her hair is bleached toe-head blond because she refuses to keep a hat on. Her cheeks are round and soft and often bunched up to show her toothy grin. When she looks at me with her big hazel eyes, I struggle to say no. Kingsley has always been a fraidy-cat and turning three has done little to diminish her fears. Sudden, loud noises make her freeze. With fear quivering across her little face, she’ll ask the nearest adult, “What was that?” A year ago, if I chased her a little too fast or roared too much like a lion, she would run to her daddy and avoid me for an hour. Now she is more courageous, but only a bit. When I took her to the bathroom at the pool a few weeks ago, she squealed and clapped her hands over her ears when I flushed the toilet. She instantly wanted me to pick her up and leave the noisy bathroom. The one place where Kingsley is fearless is in the water. She loves to swim; her technique is as awkward and efficient as a tadpole. She plunges underwater and then kicks and squirms her way to the surface where she blinks madly and spits water off her lips. My little niece is a big girl now, despite her lack of hair. She has only enough to sprout off the top of her head or gather in two piggies above her ears. Her slight size, short hair, cheeky smiles and whisper soft voice make her the ultimate heart-slayer. 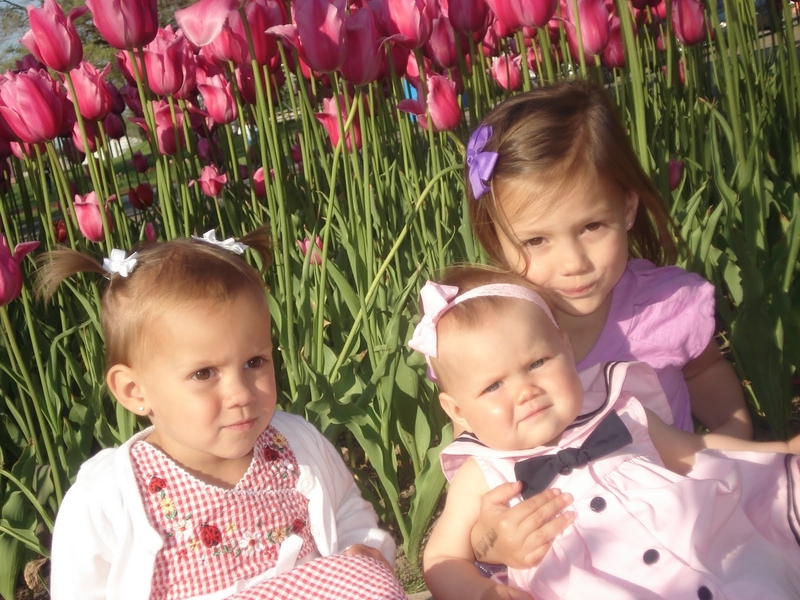 I’m a little crazy about my nieces. Not everything they do is cute and adorable, but the cute and adorable are all I seem to remember after I leave them. I count myself lucky to be their Coco. Very cute, except Kingsley has not worn diapers for about 9 months! They sure do miss their Coco! Submit your email address to subscribe and receive notifications of new posts by email.